However I couldn´t resist the new limited palette produced for the Taiwanese market but popping up in the online shops in Hong Kong now (I got mine from Alphabeautyuk on eBay but I have also seen this on Gooddealer. I recommend Alphabeauty though as he ships faster and there are no stupid handling fees which makes the seemingly cheaper price on Gooddealer pretty much null and void). 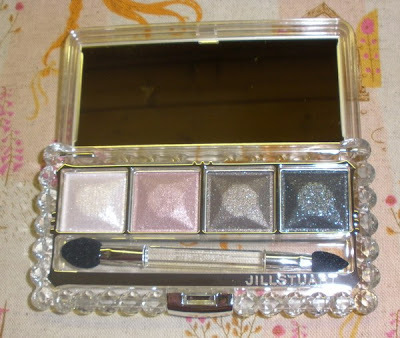 I liked the look of the new palette as it´s a true taupe/pink combo and of course i was a bit curious how the newest generation of eyeshadow palettes from JS would feel like. The case is as princessy as always, in a silver color and adorned with lots of designs. 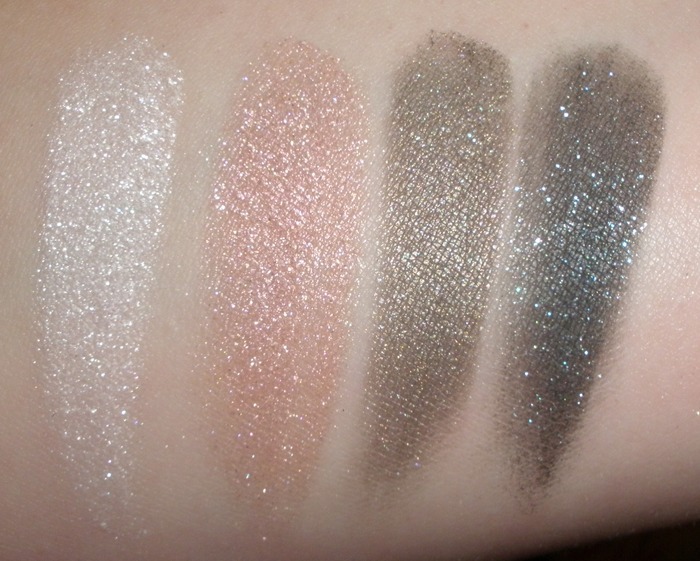 The texture of the Jewel Crystal Eyes is very soft and pigmented, even a bit powdery but there isn´t much dusting or fall-out so to me it´s a pretty perfect texture. The shadows are shimmery and/or metallic and blend/apply very nicely and they stay put nicely all day long on me. These are scented which is totally unnecessary in my opinion but it´s not a bothersome fragrance. 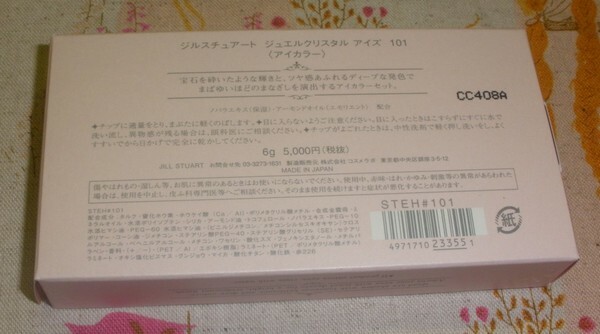 101 contains a very pale shimmery pink, metallic dusty flesh pink, metallic taupe and shimmery deep gray (almost black) with some fine micro-glitters. 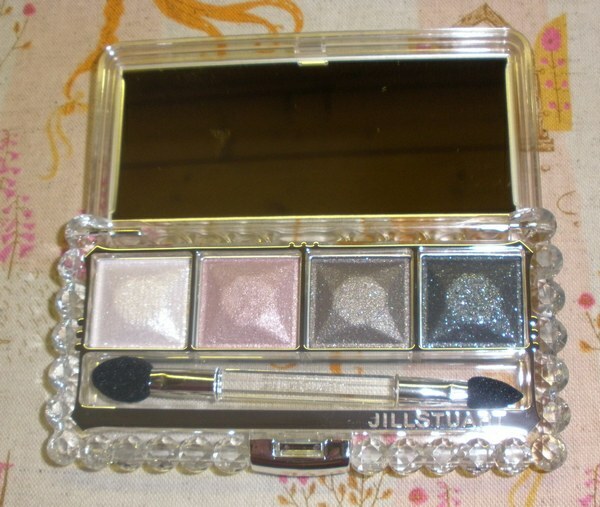 I really love this palette, it´s the best I have tried from Jill Stuart so far. Wow...I gotta agree..the color of this palette is so lovely! Thanks for the swatch..
it looks so nice!! 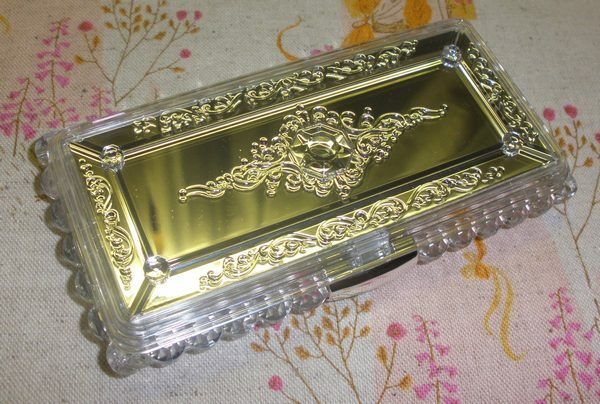 I really put off buying it for a long time, but when i decided to get my friend to try to purchase from TW, they were long gone.. now i really want it.. don't know whether I should get Lunasol instead.. how do you find the difference between this and Esprique Precious? The colours are so pretty on you! Such a gorgeous palette! Wow, the palette is so gorgeous and pigmented! I love your EOTD! I had got this palette too from an online spree in Singapore and always received compliments when I wear this palette. 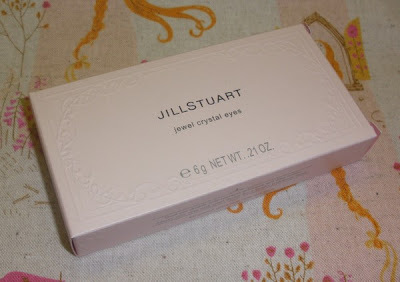 And I had also tried this with Jill Stuart Eye Jelly in Platinum Satin, works very well! Wow wow wow! This is a gorgeous palette!! !